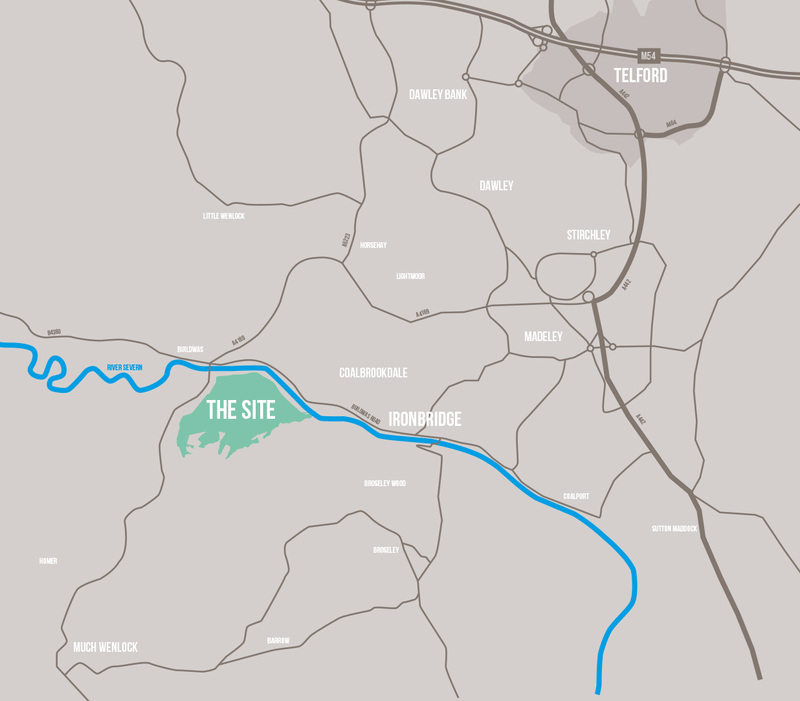 THIS 350 ACRE SITE COMPRISES THE FORMER IRONBRIDGE POWER STATION AND ITS ASSOCIATED USES. THE FORMER POWER STATION, A SITE TO THE NORTH OF THE RAILWAY LINE, WAS DEMOLISHED IN THE 1980S AFTER 50 YEARS OF OPERATION. THE EXISTING POWER STATION B SITE WAS CONSTRUCTED IN 1963 AND CEASED ELECTRICITY GENERATION IN 2015. Harworth Group purchased the site from Uniper Plc in June 2018. Harworth will undertake the demolition of the former Power Station buildings including the cooling towers. The National Grid and Western Power Distribution substations and equipment will not be demolished and will form part of the overall masterplan. The previous site owners, Uniper Plc, decommissioned the site following its closure. Approval to demolish the power station buildings has been given by Shropshire Council and will commence shortly. Alongside the former Power Station use, the site also comprises a former social club (redundant sports pitches, timber pavilion & golf course), borrow pits, Pulverised Fuel Ash (PFA) landfill waste tips and a rail siding, which was historically used to transport coal to the site. 106 acres of the site is made up of greenfield agricultural land. 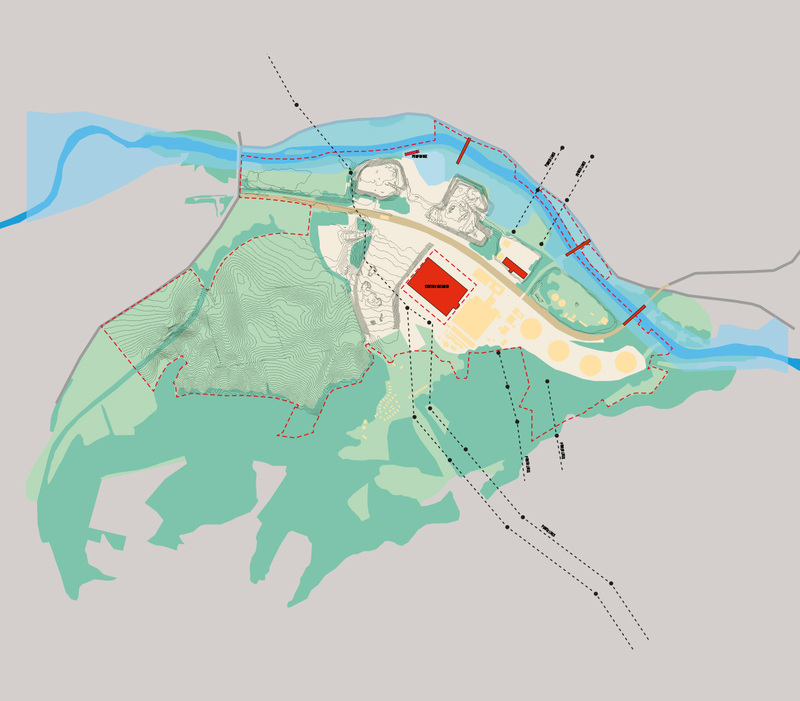 The site is bounded by Buildwas Road and the River Seven to the north and east. To the west the site is bounded by Much Wenlock Road and agricultural land. The site’s southern boundary runs contiguously with Bangham Woods, an ancient woodland and SSSI. Harworth Group Plc is one of the largest property and regeneration companies across the north of England. 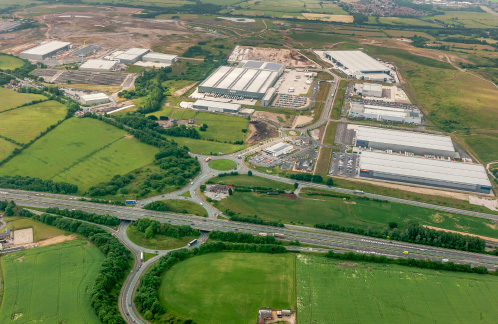 It is the developer of Logistics North located at Junction 4 of the M61 (between Over Hulton and Walkden), which has successfully delivered over 2.5 million sq ft of employment space since outline planning permission was granted in April 2014, emphasising this location’s prime position in the North West commercial market and Harworth’s ability to deliver what businesses need. Logistics North has created a country park, over 5,000 new jobs, trade for local businesses and a £100m+ investment in the local economy and public services.